A first of its kind, the Vivo X20 Plus UD is a remodelling of the former Vivo X20 Plus except for just one feature differentiating the two. That being the in-display fingerprint sensor, no longer located at the back or below the screen or at the side but now located under the display panel. The smartphone is the product of the partnership between Synaptics, a sensor company and a Chinese OEM, Vivo. The UD which is for ‘Under Display’ might be the next generation technology headway for bezel-less display. The Vivo X20 Plus UD looks very much like the initial model except for the absence of the fingerprint at the back. It also made of metal which accentuate its premium build when held. Also, the back panel is now bare except for the Vivo inscription and the camera and flash arrangement on the top left corner. The Vivo X20 Plus UD is slim and sleek thanks to the reduced bezels and nice curved edges. You have the same battery as before which is not a bad deal for a smartphone of this calibre. The Vivo X20 Plus UD sports a ample 3, 900mAh battery capacity which is alright for daily usage under fairly intensive use. It also charges using Qualcomm fast charge technology through its USB Type-C port. The Vivo X20 Plus UD retains the dual camera that was in its predecessor with the exact same configuration. The dual camera comprises of a 12MP sensor and a 5MP sensor for more details and the popular bokeh effect. For selfies, the smartphone has a single 12MP camera that takes care of things and also comes with some added features. 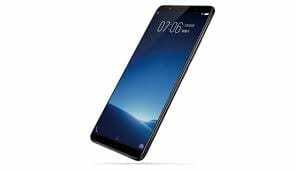 In addition, there is a 4GB internal memory for multitasking and apps installation with a massive 128GB built-in storage space expandable to 256GB using a MicroSD card. 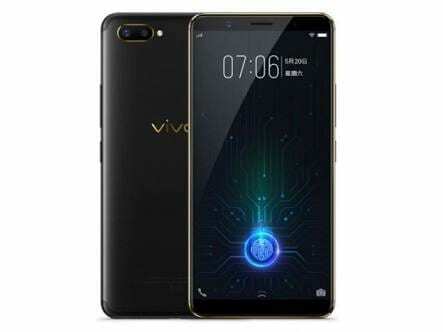 Unluckily, the Vivo X20 Plus UD still runs on Android 7.1.1 from the box instead of the latest Oreo update.